Did you know that the Federal Government may soon restrict the amount of salt that’s allowed in manufactured food? Why would the FDA want to control the sodium content of our food, you may be wondering? Well, no doubt they will claim it is for our own good. After all, Uncle Sam loves to look out for our health. (Excuse me while I chuckle to myself). 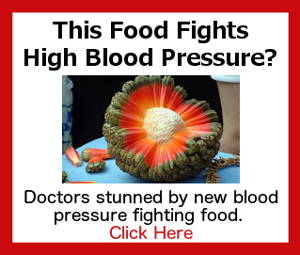 We’ve been hearing for decades now that too much sodium is bad for us and the number one culprit behind hypertension. But are these claims real? Is salt bad for us and should we be avoiding it like the plague? Recent research paints an entirely different picture of salt than what we have been led to believe. It is not a “bad” mineral, but one that is vital to optimal health. A study published in the Journal of the American Medical Association (JAMA) in May 2011 illustrated that consuming higher than suggested amounts of sodium did NOT increase participants’ risk for hypertension, stroke, or heart attack. Not only are studies showing that consuming larger quantities of salt is not harmful, some are showing that consuming too little salt can actually be deadly. Yes, deadly. A 2010 study published in The Journal of the American Medical Association found that even small decreases in sodium content in a person’s diet increased their risk for a cardiovascular event and DEATH. The sodium levels adhered to in this study were the same ones the UD government recommends we all follow! So all of you who are following the government or your doctor’s advice to cut out salt are actually putting yourself at risk for a deadly health event. Another study conducted in 2010, this one from Harvard University, showed that people who were put on a salt restricted diet developed insulin resistance in as little as 7 days. Insulin resistance is a precursor to the development of type 2 diabetes. When you consider that 80% of the US population over the age of 25 is already overweight, you realize that the FDA restrictions for salt could put the majority of the population at serious risk of developing type 2 diabetes and an early death! That’s an excellent question. Because if it’s not salt, then why the heck are people being told to cut down on salt? We’ve seen from these studies that eating higher amounts of salt do not increase a person’s risk of hypertension and stroke. 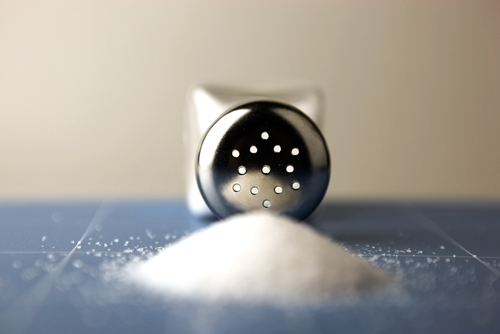 So it makes sense that taking people off salt isn’t really a cure for hypertension. Interesting how the FDA doesn’t have a war out on sugar. Nope, you can pretty much find this white stuff hidden in every manufactured food out there. It is sugar consumption, particularly high fructose corn syrup, that is actually elevating people’s blood pressure. That’s the biggest culprit right there. If you want to cut down or completely cut out something white from your diet, make it sugar NOT salt! The second thing you have to understand is that the ratio between salt and potassium is important for your overall health, and that goes for your blood pressure. So instead of decreasing the amount of salt you eat, it is more important to increase the amount of potassium you are getting every day. An easy way to do that? Eat more foods like bananas, avocados, leafy green veggies and mushrooms. The Real Reason for the FDA Ban on Salt? So it would appear that the FDA is helping a company push its chemicalized salt substitute in order to make a nice profit. And who suffers? We the people. When it comes to your health, you’ve got to do your own reading and research. Our government and food manufacturers clearly don’t have our best interests in mind. To find out exactly what natural steps you can take to reduce your blood pressure once and for all, pick up your copy of The Blood Pressure Solution today. Wouldn’t life be nicer if you didn’t have to take prescription medications every day? Get The Blood Pressure Solution today and find out how one doctor is helping her patients throw their medications out for good!